Series 3 has 8 different characters to collect. Combine with other Mega Bloks Monster High® playsets to build your own freaky fabulous world! 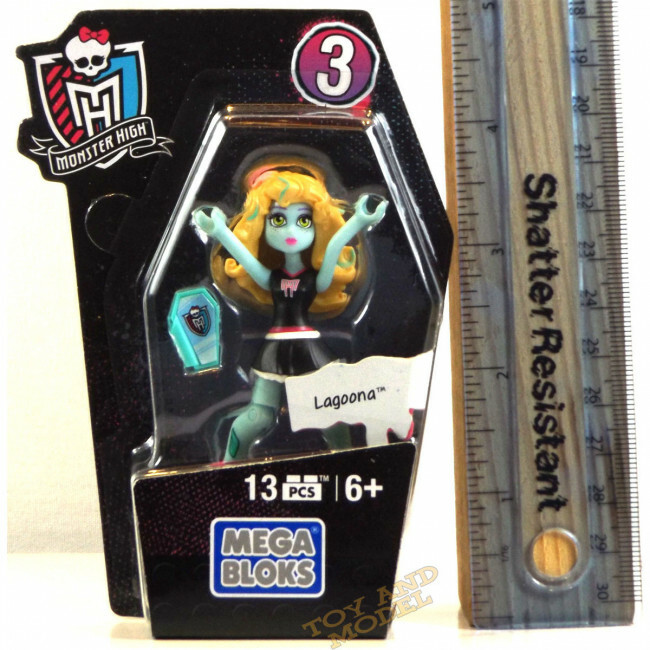 There's going to be some freaky fab fun with the Ghouls Skullection by Mega Bloks Monster High. Featuring the coolest ghouls in school, including Ghoulia Yelps, Lagoona Blue, Clawdeen Wolf, Skelita Calaveras, Lorna McNessie, Kiyomi Haunterly, Catrine DeMew, and Rochelle Goyle. Each mini monster figure is highly detailed and features full articulation for striking tons of drop-dead gorgeous poses. They each come with their own iCoffin and trendy accessory, which you can mix and match. Collect them all to create your own creepy cool clique!